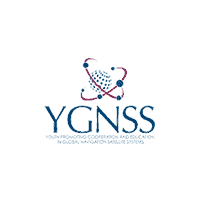 The Space Generation Advisory Council is looking for an active young space leader from the South American region to become the next Regional Coordinator (RC) for this Region. This two-year role is a volunteer position that offers a chance to lead and be responsible for the voice of the next generation of young space leaders in South America, especially as activities and excitement in the region has expanded over the past years in the space sector, and at SGAC. SGAC held elections in December 2018 to elect the next Regional Coordinator (RC) in North, Central America and Caribbeans. We are happy to announce the selection of Tania Robles (Mexico) as the new Regional Coordinator for NCAC.Detailed election results and the profile of the applicants follows. We would like to take this opportunity to thank outgoing Regional Coordinator, Juan Gramajo (Guatemala), for his two years of service in this role. SGAC held elections in December 2018 to elect the next Regional Coordinator (RC) in the South American Region. We are happy to announce the selection of Oscar Ojeda (Colombia) as the new Regional Coordinator for South America. Detailed election results and the profile of the applicants follows. We would like to take this opportunity to thank outgoing Regional Coordinator, Avid Roman-Gonzalez (Peru), for his four years of service in this role. SGAC held elections in December 2018 to elect the next Regional Coordinator (RC) in the African Region. We are happy to announce the re-election of Oniosun Temidayo Isaiah (Nigeria) as Regional Coordinator for Africa. The Space Generation Advisory Council is looking for an active young space leader from the North, Central America and Caribbean (NCAC) region to become the next Regional Coordinator (RC) for this Region. This two-year role is a volunteer position that offers a chance to lead and be responsible for the voice of the next generation of young space leaders in NCAC, especially as activities and excitement in the region has expanded over the past years in the space sector, and at SGAC.